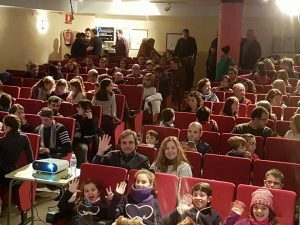 291 Science Films prepared a special night for the neighbors of the small town where I live. First we screened the documentary “No sólo polvo de estrellas” (spanish title for Life Behind the Stars) and after some brief questions from the audience we watched some celestial objects with telescopes. 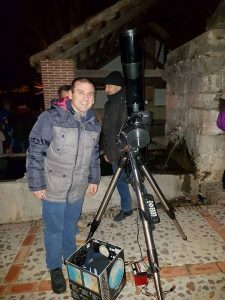 An amazing night sharing the secrets of cosmic rays with more than 140 people. 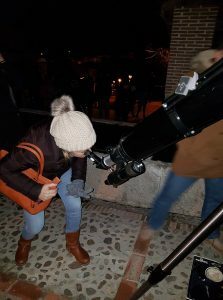 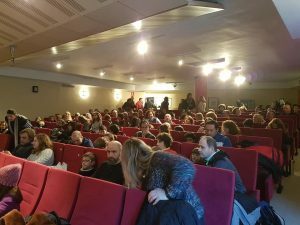 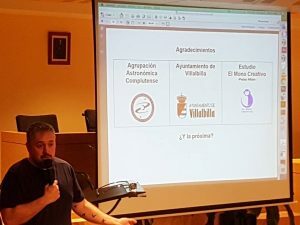 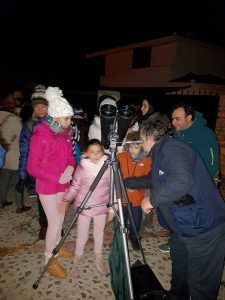 The observation was supported by the “Asociación Astronómica Complutense”, who shared their telescopes and helped the audience with their comments and the Villalbillla town council who lend the screening room.